‘It’s hard to keep up with Trump’s outrages,’ says Max Boot, the conservative author and historian who sounds the alarm about the Republican Party in his new release. 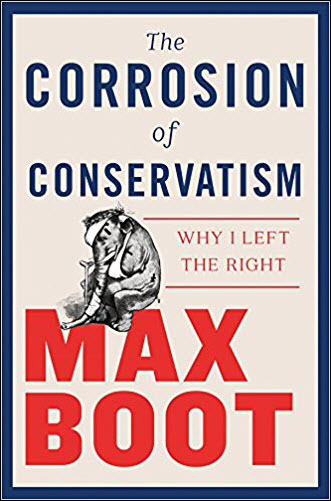 Here on a balmy Frankfurter Buchmesse eve, many are quietly keeping an eye on today’s (October 9) release in the States of Max Boot‘s potentially explosive book, The Corrosion of Conservatism: Why I Left the Right from WW Norton’s Liveright imprint. “I think there’s a terrible mean streak” coming to light in the Republican Party under Trump, Boot says in an interview with Publishing Perspectives from his New York City office. “There’s a delight in torturing liberals for the sake of torturing liberals, not to achieve any other objective. “That’s one thing Trump has certainly revealed,” Boot says, “but also deep streaks of racism, misogyny, xenophobia—all these terrible bigotries, which were just barely repressed beneath the surface of Republican discourse and have now come bubbling out because Trump has lifted the lid. Predictably, political books are a white-hot topic here at Frankfurt Book Fair in the 70th anniversary of the world’s largest trade show for the international trade book publishing industry. 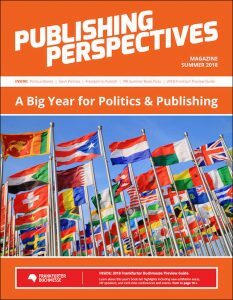 In his interview with Publishing Perspectives, HarperCollins UK CEO Charlie Redmayne—who today keynotes Frankfurt’s agenda-setting The Markets conference—touched on the “huge dilemma” faced by publishers who mush put aside their own political leanings to fairly consider potential acquisitions for the list. And when Simon & Schuster’s release of Bob Woodward’s Fear: Trump in the White House blew through a record 900,000 copies in its first week, it was understood that Michael Wolff’s Fire and Fury: Inside the Trump White House (Macmillan/Henry Holt) had been no fluke. As the exhibition floors open here in Frankfurt on Wednesday, traffic around the Norton stand in Hall 6.0, (C112) may be brisk—and the conversation may be contentious. Some here have asked if Boot will be at Frankfurt Book Fair. And while his obligations around the book launch will keep him in the United States, his The Corrosion of Conservatism is expected to score quick foreign rights sales, which are being handled by literary agent Caitlin Mahony with the international rights group at WME (William Morris Endeavor). “This will be a big book for us in Frankfurt,” Mahony says, particularly because the timing of the release dovetails with the opening of the Literary Agents and Scouts Center (LitAg) on its pre-Frankfurt Tuesday. Boot has an interesting point about writing current affairs content after publishing four titles in military historical analysis: history holds still—today’s political scene doesn’t. The whiplash speed of the Trump-era news cycle gives book-length political commentary a challenge completely unlike, for example, Boot’s previous work, the New York Times bestselling The Road Not Taken: Edward Lansdale and the American Tragedy in Vietnam (Liveright, January) or Invisible Armies: An Epic History of Guerrilla Warfare From Ancient Times to the Present (Liveright, 2013). “I kept trying to update the book during the summer,” he says about The Corrosion of Conservatism, “and now it’s been a month-and-a-half since I’ve been able to change anything” as the text was finalized. “My chapter on ‘Trump outrages,'” is an example, he says. “It’s hard to keep up with the outrages because there’s a new one every day. But there also are a lot of timeless elements in the book that aren’t dependent on what Trump did today or yesterday. So it is that the first lines of Boot’s new book—the first time this author has written about himself—read this way: November 8, 2016, was one of the most demoralizing days of my life. It was also, in ways that have become impossible to ignore, devastating not just for America in general but for American conservatism in particular. Boot is one of the most influential and charismatic of the conservative defectors, not unlike George Will, who drew his own line in the sand with his column in June. Boot has a combination of factors funding the gravitas he brings to his analysis of a once great free-world political party now skulking into a dark alley of its worst ideological propensities. He holds the Jeane J. Kirkpatrick senior fellowship in national security studies at the Council on Foreign Relations. He served as a foreign policy advisor to the late John McCain during the senator’s 2008 bid for the presidency. As a journalist he’s worked on The Christian Science Monitor and The Wall Street Journal. And today, as a Washington Post columnist, he’s a prolific and articulate essayist. You can read an excerpt from his book in his column, as a matter of fact, The Dark Side of American Conservatism Has Taken Over. 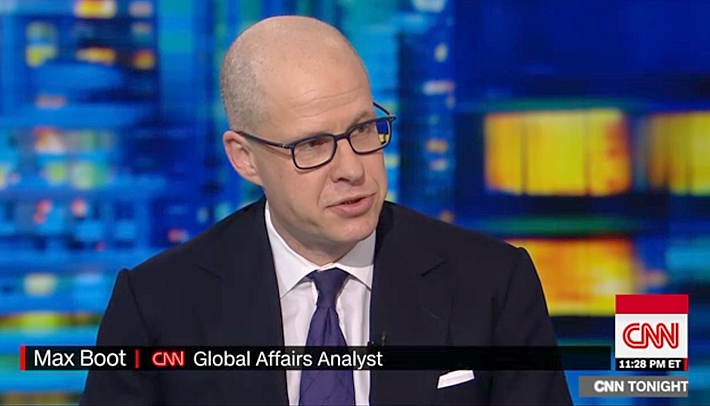 His appearances as a global affairs analyst on CNN’s coverage are marked by his historical perspective. While easily accessible for the viewers, his insights resonate with his scholarship. 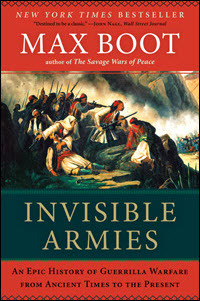 In terms of marketing this work, Boot says the approach is different from that used with his historical writings. There are fewer speaking gigs and more media appearances like his work on CNN, where bookers frequently place him into multiple producers’ shows in a given day. “You were already seeing a lot of this kind of [Trumpian GOP] conversation on Fox News long before Trump came along,” Boot says, “but that wasn’t the way mainstream Republican leaders talked. “What Trump has done is essentially erased the distance between Fox News and the Republican party, they’ve become one in the same. And what’s most disturbing of all is that there’s a huge audience out there for what Fox sells and what Trump sells. 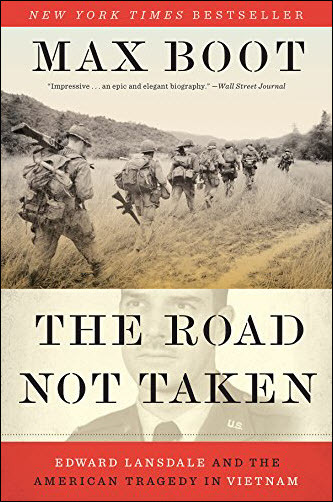 Boot says his next book is on Ronald Reagan. He sidelined that project for a while to focus on The Corrosion of Conservatism. For now, while self-described as socially liberal and fiscally conservative, Boot’s disappointment in Trump’s Republicanism is drawing plenty of heat on social media. “Conservatism has become identified with Trump and there aren’t many conservatives who are open to Trump-critical viewpoints,” he says. “And of course there are a lot of liberals who are delighted to have somebody like me, with my conservative background, saying what they think about Trump. More from Publishing Perspectives on books related to Donald Trump and American politics is here. On Thursday (October 11), join us at the International Stage at Frankfurt Book Fair for a Publishing Perspectives Talk, Politics and Publishing: Sensitive Topics, Fiery Emotions, with Russian author and Putin critic Dmitry Glukhovsky and Georgian publisher Gvantsa Jobava: 10:30 a.m., Hall 5.1 (A128). Publishing Perspectives readers get a 30-percent discount for The Markets and Business Club access: use code 2018BC1day_PP for the one-day Business Club ticket and code 2018BC6day_PP for the six-day ticket. Click here to buy tickets. And our pre-Frankfurt magazine is ready for your free download. It’s themed on politics and publishing and includes our extensive preview of the Frankfurter Buchmesse. Download the PDF here.